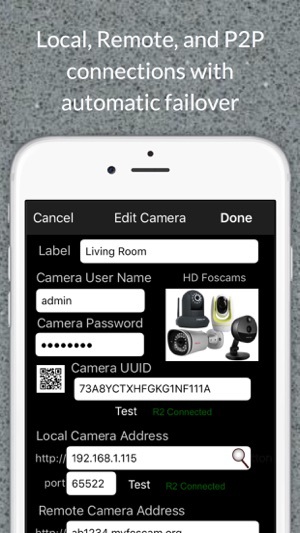 The app Foscam Pro is the most feature rich Foscam iPhone app and iPad app to take advantage of your Foscam IP cameras both HD and SD, as well as other MJPEG cameras. Alll the features you want and need are in one place. For almost all Foscam HD and SD cameras there is two-way audio, video recording, and image capture. Note: Foscam Pro is not made by or affiliated with Shenzhen Foscam Intelligent Technology. Please do not contact us with camera hardware problems. Thank you. Compatible cameras WITH two-way audio where supported: FI8905W, FI8908W, FI8909W, FI8910W, FI8916W, FI8918W, C1, FI9803P V2, FI9804P, FI9805, FI9805W, FI9816P, FI9821P, FI9821P V2, FI9821W, FI9821W V2, FI9821W V2.1, FI9826P V2, FI9826W, FI9828P, FI9828W, FI9831P+V2, FI9853EP, FI9900P, FosBaby, FosBaby P1 , C2, R2, and Insteon 2864-232. Compatible cameras WITHOUT audio: Foscam FI9821V1, FI8620, FI8608, Cis-co WVC-80N, D-Link DCS-942L, Agassio 522, Panasonic CL0230, and the WowWee Rovio robot. Other cameras might work but it is not guaranteed; choose a camera in the settings that looks similar. If you find cameras that are compatible, please let us know and we will add them to this list. 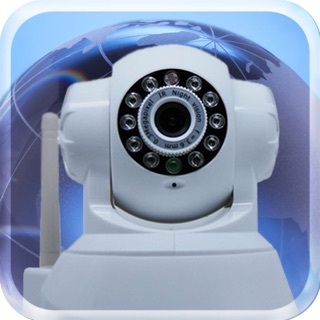 To view your cameras remotely, you will have to setup dynamic DNS and/or port forwarding on your home router. Get your camera working with your browser first. Then setup the app. Need help? Tap the info button to contact us. Please contact your camera reseller for support with your initial setup. ▶In App motion and face detection (with automatic image/video capture) for SD model cameras. The "no look" joystick allows you to look at the camera image while positioning the camera instead of needing to look at some tiny arrow buttons. Simple tap and hold anywhere near the joystick. The joystick will center on your finger. Then just drag in the direction you want to go. Push to talk makes talking through your camera easy. 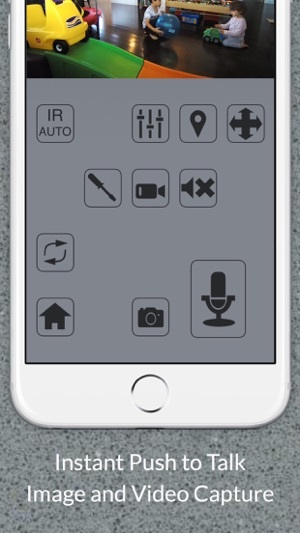 Simply hold the microphone button to talk and release to stop. Take pictures and videos with ease. Videos and images are captured instantly without interference, popups, or waiting. Images and videos are sent directly to your camera roll. You can email or upload them to YouTube from there. 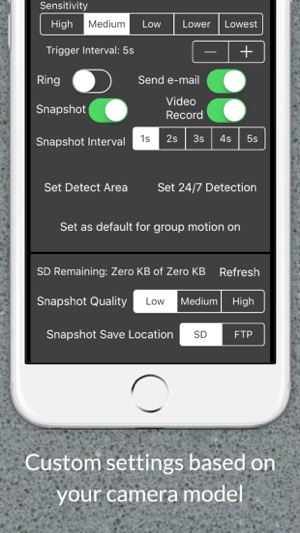 Fast, easy setup: Most people with multiple cameras have them setup with similar network settings, often only the port number is different. 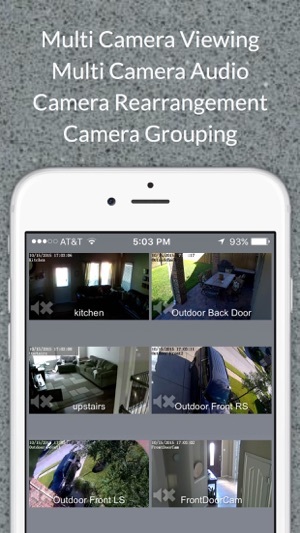 With Foscam Pro’s duplicate feature, setting up multiple cameras takes only a few seconds. Username and passwords can now be set up as defaults for new cameras. Setting up the same cameras on multiple devices? 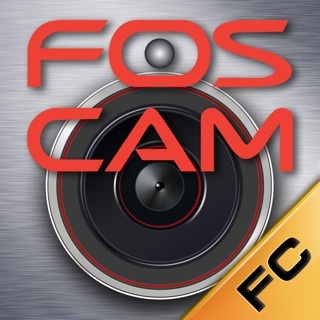 Foscam Pro allows you to e-mail your camera settings to yourself, coworkers, family or friends. Passwords are no longer included in the configuration file. Additionally, Foscam Pro allows you to use local addresses for when you are on the same network as the cameras, and remote addresses for when you are away from the home location. This allows you to get the best connection no matter where you are. Want to save bandwidth? Foscam Pro has three bandwidth saving modes to choose from for 89xx series models. 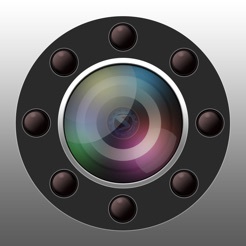 Foscam Pro is a universal app. 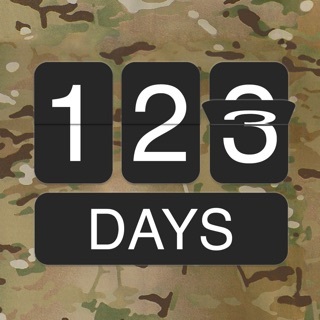 This means it is a Foscam iPhone app, a Foscam iPad app, and a Foscam iPod app. You only have to buy it once. -Increased image processing speed for HD Foscam cameras. -Fixed zoom for HD Foscam cameras. -Fixed audio transmit for SD Foscam cameras. -Fixed button overlapping problem for effecting some models of iPads. 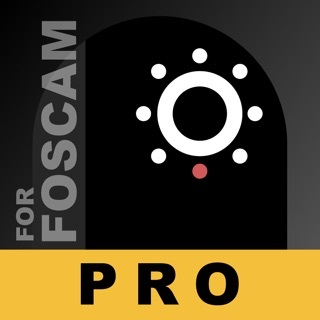 If you enjoy Foscam Pro, please help set us apart amongst the Foscam iPhone apps and Foscam iPad apps by leaving a review after each update. Thank you. Tolle App, ist das Geld wert. Alles wie versprochen, einfach zu bedienen. Setup und Bedienung optimal gelöst. Funtioniert sehr gut. Schnelle Übertragung und praktische Zoomfunktion. Ebenso die Einstellungsmöglichkeiten. Ich nutze die App für 6 Foscam Kameras. Die App läuft super. Wenn die Internetverbindung mal zu langsam ist, nutze ich VPN und dann klappt auch das.